Rod and Marlene McKay began farming our fields in 1969. Willowtree Farm is home to multiple generations of McKay farmers who are working over 600 acres to bring you our best. From our humble beginnings as dairy farmers, we continue our love for animals. This love has filled our pastures with beef cattle and sheep. Our naturally-raised animals enjoy a happy life on pasture. From our first crop of strawberries in 1979, we now grow over 30 different fruits & veggies sold directly to our customers. 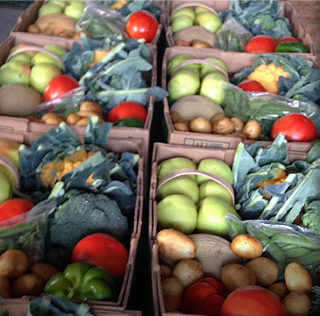 Throughout the summer, you can find us at farmer’s markets throughout the GTA. 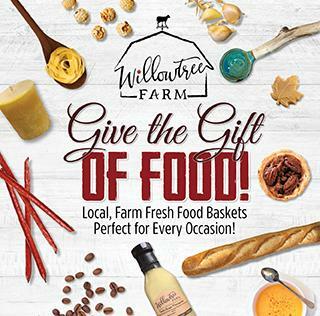 You can also take a drive to the country and come see us on the farm, where we offer a wide selection of Ontario’s finest foods including: produce straight from our fields, artisanal meats and cheeses, preserves, baked goods, and so much more. Between shopping in our store, enjoying a family lunch, or visiting our animals, you will be sure to take home some country memories. Come share our family’s passion for sustainable farming and fresh food. We think you will taste the difference.